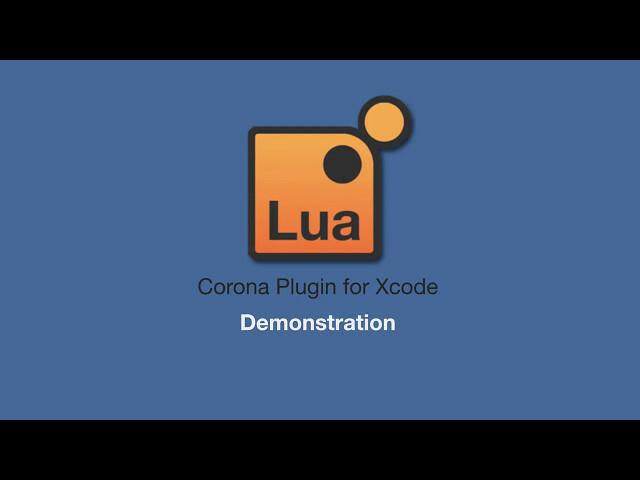 The Corona Plugin for Xcode adds a set of new features to Xcode, turning it into an easy-to-use, smooth, and efficient editor for Corona projects. This plugin is also a great addition if you are working with Corona Native or CoronaCards. In this case, you will achieve an excellent workflow by being able to do both Corona/Lua code and native code side-by-side in Xcode. Corona Simulator integration: Hit "Run" in Xcode and the Corona Simulator will open the current project. Corona Simulator output shows in the Xcode console (optional). Corona daily build picker dialog to easily switch between daily builds. One-click installer: No messing with the command line to install this plugin. Updated project templates and various improvements. 2. Daily Build Picker updated for new Corona-xxxx folders. 3. Various improvements and fixes. 1. API completion/highlighting updated to Corona 2017.3154. 2. Migrated iOS templates to use Images.xcassets icon format. 3. Updated for Xcode 9. Documentation look-up opens default browser instead of Safari. Corrected ending block comment issue.